Our brothers have recently returned from preaching a Parish Mission in the Parish of Drumbo and Carryduff in East Belfast. Fr’s John Walsh, Maurice Colgan and Terence Crotty preach the mission dedicated to the Centenary of Fatima. The Parish Church was the first church to be dedicated to the Immaculate Heart of Mary in Ireland, so it was fitting to preach on the message of Fatima for nine days. Preaching topics covered by the friars included, Prayer, Reconciliation, Healing, the Holy Eucharist, the Immaculate Heart of Mary and the Rosary. 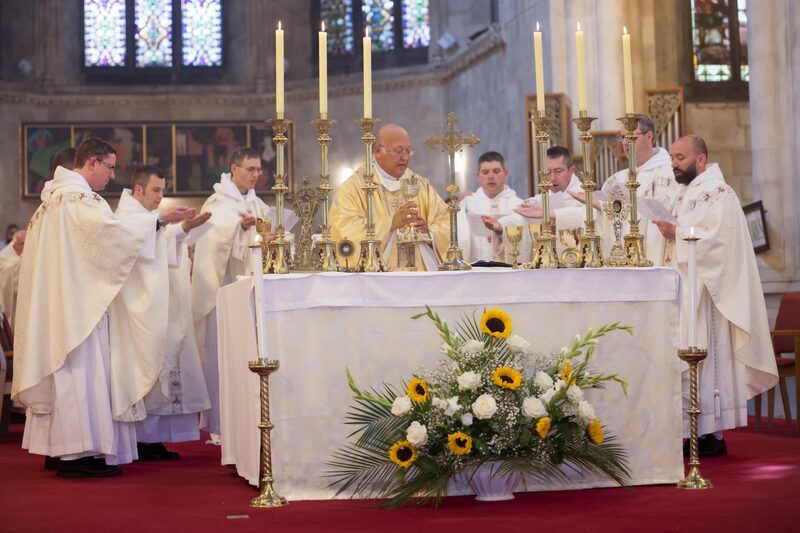 Three liturgies were celebrated daily, Morning Mass with preaching at 7.00am, again at 9.30 am and an evening liturgy of Rosary, Sermon and Solemn Benediction. Many hours of confessions were heard over the nine days, including one whole day of confessions. The mission concluded with the blessing of Roses and Rosaries on the final weekend when the statue of Our Lady of Fatima was crowned and vested with a special rosary beads from the shrine at Fatima. The brethren were very grateful to the people of Carryduff for the kindness and welcome shown to them over the mission days and especially grateful to Fr. Michael Sheenan, PP and Fr. Conor McGrath, CC for their kind invitation to preach in their parish. Dominican Parish Mission 6-14th of May 2017. The Dominican brethren were invited to preach a Parish Mission in Derry City from the 15th to the 23rd of October during the Year of Mercy. The Mission took place in the parish of the Three Patron’s: St. Patrick’s Church, Pennyburn, St. Brigid’s Church Cairnhill, St. Joseph’s Church, Gallaigh. Dominicans are not new to this northern city, as the first Friars arrived in 1279 and founded a sizeable convent and public chapel dedicated to St. Dominic, commonly called St. Dominic’s Abbey. 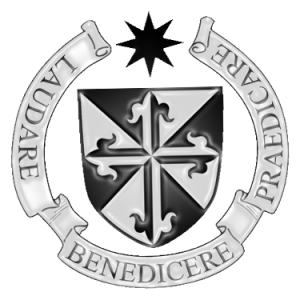 Tradition has it that St.Vincent Ferrer, O.P., visited the Derry Dominicans and stayed for some time with his Irish brothers in the 15th Century. The Abbey was sacked in the 1600’s and in 1601, 32 friars were martyred. They gave their lives for the Catholic faith and shed their blood in an area known as the Diamond close to the city walls. All 32 brothers were put to death in one night shedding their blood in the public square witnessed by many onlookers. The brothers finally left the city in the 1700s after many years of ministering in hiding. The Parish Mission was preached by Frs. John Harris, John Walsh, Ciaran Dougherty, Luuk Jansen and Eoin Casey. Each day the brothers celebrated and preached Holy Mass at 6.30 am,10.00am and a Holy Hour at 7.30 pm in each church of the Parish. Three whole days were given to all day confessions and the sacrament was offered after each daily session. Many people waited for long periods in the churches to avail of the sacrament in this Year of Mercy. Topics covered by the brethren in their preaching, were Holy Eucharist, Reconciliation and Mercy, Family, Healing, Prayer and the Holy Rosary. It was a blessed time and wonderful to see hundreds of faithful Derry Catholics attending daily, even at the early hour of 6.30 am. The faith is strong in Derry, a city which experienced much tragedy and sorrow from the 1960s until the Northern Ireland Peace Agreement. The brethren have been blessed by receiving such a wonderful welcome and being able to experience the faith and devotion of the Derry faithful. May Our Lady of Derry and the Dominican Martyrs intercede for her faithful people.